Crime thrillers and mysteries are my favorite book themes and I almost always have a couple of mysteries on my reading list at any given time. 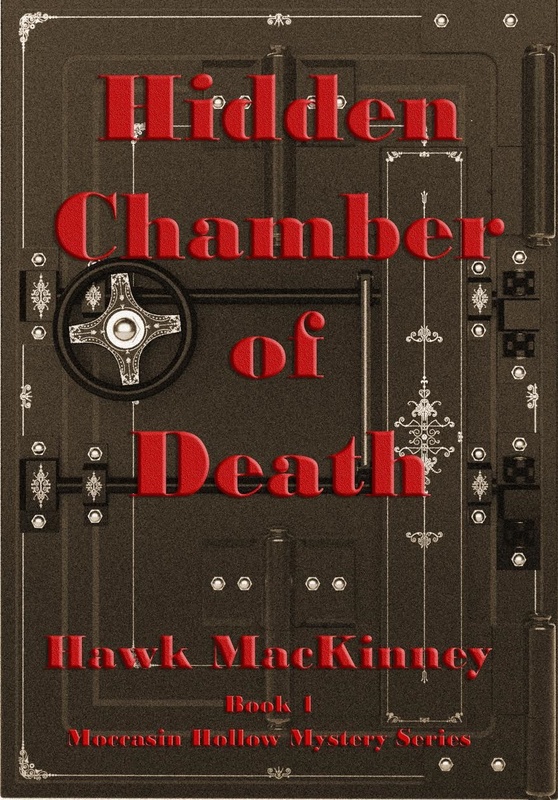 I was a little intrigued by the cover art for Hawk MacKinney's Hidden Chamber of Death--it made the book's content a truly "hidden" mystery and I was excited to read and review the novel. What did I think of Hidden Chamber of Death? I received a complimentary copy of this book for use in my review--and you can win a copy in the book tour giveaway at the end of this post! All opinions are my own. Quick Summary of Hidden Chamber of Death. Hidden Chamber of Death is a compelling tale of intrigue, murder, deception and suspense that leads retired Navy SEAL/part-time private investigator Craige Ingram in search of the connection between seemingly random murders and a banking conspiracy. What is he/she up to? I love asking myself that question when I read a mystery! It doesn't always happen though. I found myself meeting each new character introduced by MacKinney with a little doubt and skepticism. The author did a wonderful job keeping a little mystery around his characters--and that adds so much to the suspense of the story. While I wanted to like (or dislike) characters immediately--I wasn't sure about some of them and their motivations. I like wondering about characters for a bit! I like that I grew to like and dislike characters through the plot development and not through each character's initial description. MacKinney creates more than a likeable hero in Ingram. I expected to like the main character--but, MacKinney takes it a step further in that he made me want to follow the main character's future adventures and future stories from the series. Ingram is an "old fashioned" character, I think. He's the dependable, real-world, guy that everyone wants in their corner. The story reminded me of the old detective shows and crime dramas that I watched on t.v. with my Grandpa when I was a little girl. It's not a dated story--it's just one of those books where you say, "You don't find someone like that everyday." Would I recommend Hidden Chamber of Death by Hawk MacKinney? The author creates an action packed, suspenseful, easy to read story with characters readers will enjoy. Readers will fall easily into the setting through the the author's descriptions and dialogue--and will want to follow future Moccasin Hollow mysteries. I would recommend this book to murder mystery fans--who also enjoy a bit of a conspiracy and creativity. 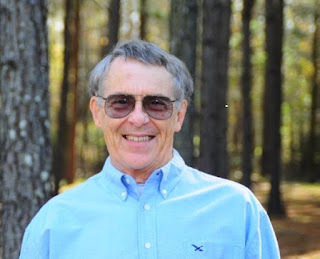 Meet the Author: Internationally acclaimed author and public speaker, Hawk MacKinney began writing mysteries for his school newspapers. Following graduation, he served in the US Navy for over 20 years. While serving as a Navy Commander, he also had a career as a full-time faculty member at several major state medical facilities. He earned two postgraduate degrees with studies in languages and history. He has taught postgraduate courses in both the United States and Jerusalem, Israel. 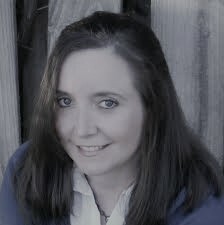 Mama’s Corner/Angela THOMPSON - Thank U for hosting Hidden Chamber of Death with serial protagonist Craige Ingram ensnarled in the chase against more killing, threatening a very enchanting widow. For readers with a yen for extended character backgrounds the historical romance, Moccasin Trace is the prequel to this title, & establishes the bloodline(s) of Craige Ingram in the Moccasin Hollow series. Soon to follow - Book 2, Westobou Gold is in cover design. 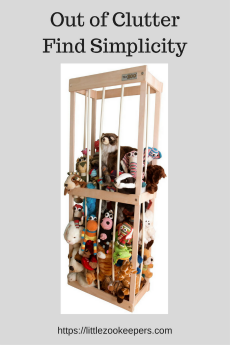 many serial characters that are Ingram’s buddies will show up in the thrills & clots of mayhem & mystery. I’d like to claim my input to the cover design of Hidden Chamber, but I can’t. it’s the creation of a very talented artist who picked a graphic hook of the tale told…the vault door. Tease the reader…something thoroughly have fun doing. You made another point many reader prefer…let the plot, action & character(s) interplay show what/who they are. Show vice tell. Thank U again. Glad U enjoyed the read as much as I did the weaving of the web in the tale told. Mama’s Corner/Angela THOMPSON - Thank U for hosting Hidden Chamber of Death with serial protagonist Craige Ingram ensnarled in the chase against more killing, threatening a very enchanting widow. For readers with a yen for extended character backgrounds the historical romance, Moccasin Trace is the prequel to this title, & establishes the bloodline(s) of Craige Ingram in the Moccasin Hollow series. Soon to follow - Book 2, Westobou Gold is in cover design. many serial characters that are Ingram’s buddies will show up in the thrills & clots of mayhem & mystery. I’d like to claim my input to the cover design of Hidden Chamber, but I can’t. it’s the creation of a very talented artist who picked a graphic hook of the tale told…the vault door. Tease the reader…something I thoroughly have fun doing. You made another point many readers prefer…let the plot, action & character(s) interplay show what/who they are. Show vice tell. Thank U again. Glad U enjoyed the read as much as I did the weaving of the web in the tale told. I want to read this book because I love books that keep me on the edge of my seat! I want to win because this sounds like a great thriller and I love a good thriller/mystery book! I want to win this so I can know what's hidden in the chamber!! I would love to win this book as it sounds like a real interesting read that would keep be captivated. In addition, the gift card would be used to purchase a Kindle Fire that I have wanted for 3 years so that I can download books to read. I want to win this prize because I love mysteries to read and this one sounds really great!